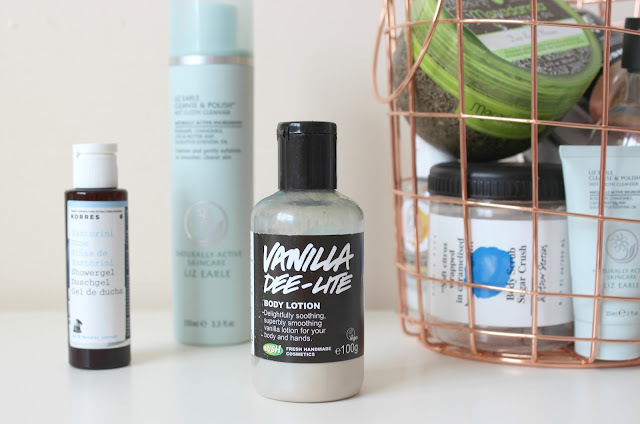 I love a good body exfoliator and for a good couple of years now, although I'll always love my high-end favourites, & Other Stories has been my absolute favourite for body scrubs. Not only are they purse-friendly, but they last absolutely ages and definitely leave my skin the softest! The Sugar Crush range has an almost Cola scent to it and massaging it into my skin leaves my skin so heavenly soft, it's the dreamiest of body scrubs you'll ever try. I'm in London in December, so I will definitely be popping in store to pick up a new one! This is my second tub of the Sugar Crush scent - check out my full review in my & Other Stories Sugar Crush Body Scrub feature -, I think I may be tempted by the Moroccan Tea scent next time! When this was released a couple of years back, everyone raved about how amazing it was, a revolutionary makeup product and a must-have in your beauty stash. Personally? I really don't see the hype. Every time I wore it my eyes would run and feel itchy, I found it smudged super-easily too, so wasn't really doing its job to set my mascara. I've never found an eyelash primer that I get on with and unfortunately, I won't be repurchasing this one. I featured this masque in my June Beauty Favourites 2017 after using it on a weekly basis. A high-end masque, it's been quite the cult skincare favourite in the beauty world over recent years and I can totally see why. It uses Glycolic, Salicylic and Lactic Acids, which work to heal and soothe damaged skin, whilst deeply-cleansing skin, targeting blemishes, breakouts and ingrown hairs. It's not my favourite deep cleansing mask, so I'm not sure I'd repurchase it based on price, but it's definitely one I'd pick up again if my budget was a bit higher as I really enjoyed using this and seeing the positive effects it had on my skin. I've been using the cult Cleanse & Polish cleanser for around 5 years now, a multi-award-winning skincare favourite, it's a cleanser I always go back to as I just love the way it makes my skin look and feel. I've just finished up a 100ml tube and a 30ml travel size, which I took on our holiday to Cyprus back in April. The creamy formula is enriched with Cocoa Butter, which works to soften, smooth and moisturise, as well as Rosemary, Chamomile, and Eucalyptus, which work to tone, soothe and purify skin. It effortlessly removes makeup, dirt, and grime, leaving skin clear, clean and happy. It's worth picking this one up directly from the Liz Earle website - uk.lizearle.com - as they often have free delivery and amazing offers as well as extra samples with orders. I would definitely repurchase this and already have one in back-up! The first of two now discontinued Lush products that I have finished using up, African Paradise Body Conditioner was actually discontinued not too long ago, but I'm still sad to see it go as scents wise, it was my favourite from the (rather modest) body conditioner range and I really enjoyed using it. If you're new to the Lush body conditioner range, you can get the jist of how they work, what their benefits are and most importantly how to use it, in my Lush Ro's Argan Body Conditioner feature. This one came in a Christmas gift set I think, and I've had it on my desk to use up throughout the day when I'm working. With softening Neroli and Fair Trade Organic Cocoa Butter Cream, it's described as the perfect hand cream for soothing hands, but I have to say, I haven't enjoyed using this much at all. Although the scent is subtle and quite lovely, I don't find this to be moisturising and if anything, it leaves my hands feeling a little bit odd, with an odd dryness to them almost immediately after I apply this hand cream. I won't be repurchasing this one I'm afraid, and if it crops up in any future Christmas gift sets, I'll be passing them onto a friend. This is my favourite second favourite scent from Lush (the first being Tramp) and I've actually dedicated a full feature post to this particular scent in my 'The Lush scent addiction' post. I just absolutely adore it! I have the bubbleroon to match and I definitely have my eye on the new body spray, too! Although you can't buy the shower gel individually all year round, it is available all year in the Rosie Gift Set alongside three other Lush products. The name is quite explanatory with this scent; it smells like rose jam, and I am obsessed! I would definitely repurchase this beauty. I had this a little while longer than I should have, putting it in the back of one of our bathroom drawers and completely forgetting about it, so I actually decided to ditch the last few uses in the bottom of the tub as it was out of date. I reviewed this back in 2016 in my Lush Salted Coconut Hand Scrub feature, a favourite way to exfoliate my hands and out of the handful of hand scrubs I have tried over the years, it's been my favourite of the lot, so one I would happily repurchase. This one has, unfortunately, be discontinued, a couple of years now actually, but when I first found out this luscious vanilla potion would no longer be made, I stockpiled quite a few to keep me going! It's definitely one of my long-time favourites from Lush and not only is the scent the perfect touch of vanilla without being sickly sweet, I love the way it made my skin feel softer to the touch. This was my last little bottle, so unless the Lush Kitchen re-release it, it's the last time my skin will be treated to Vanilla Dee-Lite! I featured this back in my June Beauty Favourites 2017 and it's been one of my absolute must-have hair products over the past five years. I always, always repurchase this masque, as no other masque makes my hair feel as lovely as this one. It's pricey, but a 236ml tub will last you a good portion of a year, if not longer, so it's well worth the investment. I have had this tube in my handbag for longer than I care to admit, finally finishing up and unlike the Love and Light hand cream, it's one I actually really enjoyed using. Not only is it a fab hand cream, utilising moisturising Organic Honey and energising Orange Essential Oil, but each purchase of the Bee Lovely range helps raise funds for projects which work to save the Bee population, so it's a good-deed purchase too! My hands definitely feeling softer and moisturised after using this beauty and I would be happy to repurchase next time I'm on the lookout for a hand cream. This is actually one of the little gifts M popped in my Christmas stocking last Christmas, which we've just finished up between us after using it for around 6 weeks. I really do like The Body Shop shower gels, but the Olive scent isn't my favourite, although as a soap-free shower gel, it certainly managed to leave my skin feeling softer after each use. Although I wouldn't necessarily repurchase this specific scent, I am no stranger to body products from The Body Shop and would pick up another scent in the range no worries. Another one from The Body Shop but this time a Shower Cream from the fairly new Almond Milk & Honey range. I absolutely adored this shower cream, honestly, I feel like each time I used it my skin was left feeling hydrated and much softer to touch and it's so gentle, it's actually targetted at those with sensitive and/or dry skin. I'm currently trying another little travel size from this range, so I am sure that it'll feature in my next empties post - but this is definitely a range to check out if you want something gentle and kind to skin, whilst adding some much needed hydration to summer skin. I would be more than happy to pick this up again for myself, as well as being a great range for gifting at Christmas and birthdays. I actually feel pretty good for finishing up so many products. I love finishing up products, as it means I can finally try some new ones after using the same products for so long! Hopefully, my little roundup review of the products I've finished over the summer will be helpful for those of you looking to try the products I've mentioned. 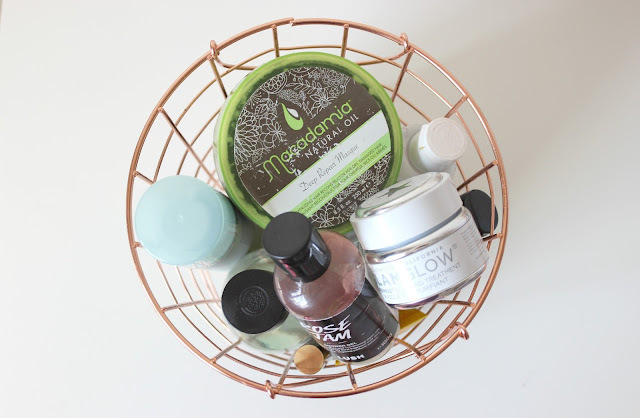 Although I wouldn't repurchase every product I've recently finished up, there's definitely a few firm favourites that I'll be repurchasing next time I need them. I wonder which products I'll be sharing in my next roundup, I already have a few almost empty products waiting to jump in my empties basket. really want to try the glamglow mask range, but they're so pricey. definitely one to pop on my birthday list as they sound so good! I have loads of products half used haha! 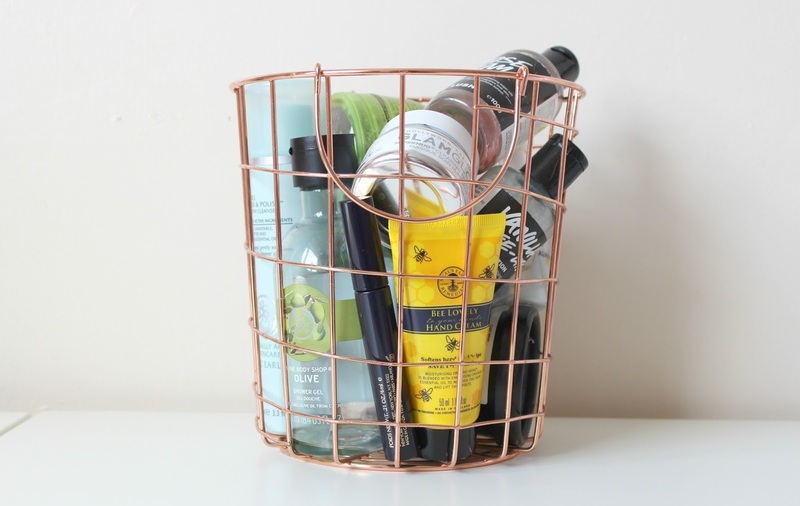 I always want to do an empties post but it's very rare that I finish something and if I do I'll forget about the post and end up chucking it away haha! I have so many products that are half used! I really need to go through everything and use it too! Body shop has to be my favourite place for products, such nice smells! I've recently had a clear out and binned/given away loads that I didn't use. Now need to update my own products that I actually do use though. Yes!! I have half used products all over the place! I love the sound of all of those lush products though!